Nico Bacon is a mechanical engineer with almost six decades of experience in fishing. 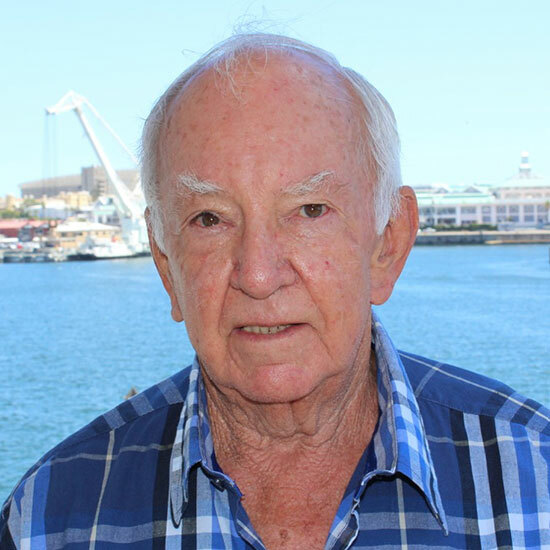 He began his career in 1959 with the Kaap Kunene group (at the time one of the most successful pelagic fishing operations in South Africa) and went on to develop his management skills at I&J, working initially as a factory production manager and later as group fishing manager. In 1980, Nico left I&J to establish Viking Fishing. He is acknowledged as one of the most knowledgeable figures in the South African fishing industry, having operated fishing vessels across a range of fisheries and countries. In 1983, he introduced the double longline system for catching hake and the gear used in this fishery remains largely unchanged today. 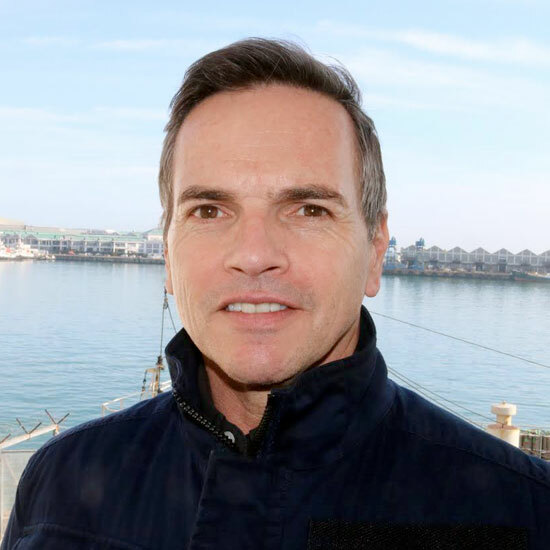 Over the years, Nico has played an integral role in the management of southern African fisheries, serving on several industry committees and advisory panels in South Africa, Namibia and Mozambique. Tim is an engineer who is widely regarded as one of the most knowledgeable and experienced figures in the South African fishing industry. His career in fishing began in 1985 when he joined I&J as an industrial engineer. He rose quickly through the ranks to eventually be appointed operations director, responsible for the efficient operation of the company’s fishing fleet and its sophisticated processing facilities. His departure from I&J in 2004 allowed Tim to give full reign to his entrepreneurial spirit and by the time long-term rights were allocated in 2006, he had acquired a number of fishing companies and vessels and was a partner in several fishing ventures. These were subsequently incorporated into the Viking Fishing Group. 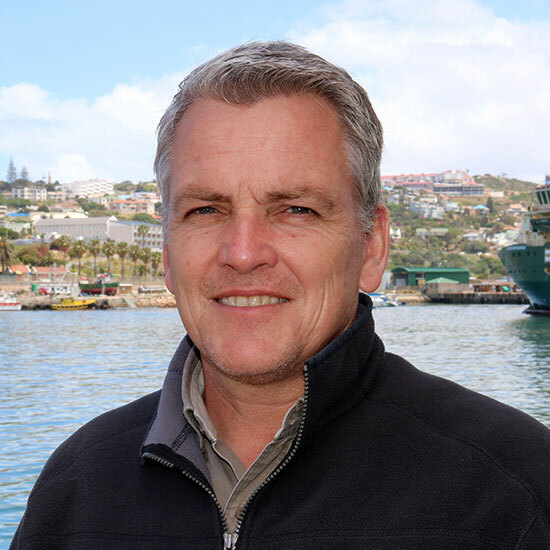 Since 2011, Tim has devoted much of his time and energy to building Viking Aquaculture which is rapidly expanding across South Africa and Namibia. Rory Williams is a chartered accountant. He joined Viking Fishing in 1996 as Financial Manager and has remained with the company as it has grown and diversified. Rory is involved in a wide range of activities pertaining to the management of the Viking Fishing Division and he also plays an important role in a number of industry associations. 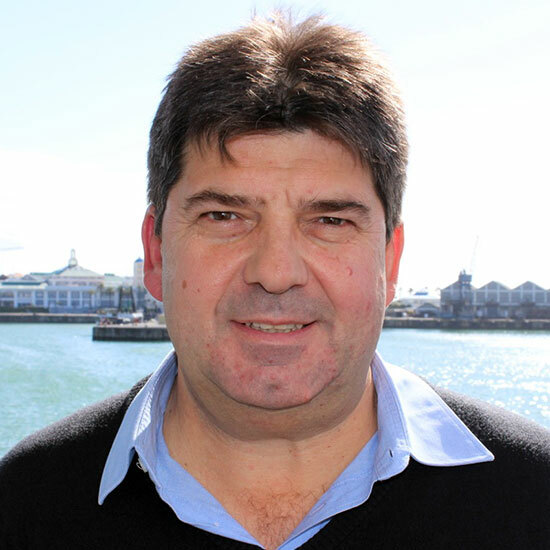 For instance, he has served on the Executive Committee of the South African Deep Sea Trawling Industry Association (SADSTIA) for a number of years and is also the chairman of the Port of Cape Town Fishing Industry Association (POCTFIA), an organisation that works with the National Ports Authority to ensure the fishing industry enjoys equitable access to port facilities. Linda has served as Human Resources Director since 2003 and is broadly responsible for the development of a competent and motivated workforce at the Viking Fishing Division. Over the years, she has become intricately involved in improving the conditions of work for seagoing employees. 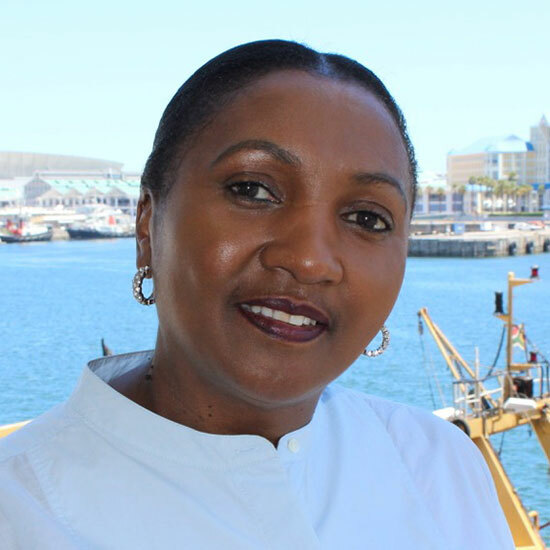 For example, she has served and continues to serve on a number of industry bodies including the South African Fishing Industry Employers Association and the Bargaining Council for the Fishing Industry. Linda holds a Bachelor of Commerce degree from the University of the Western Cape and a diploma in Human Resources Management from Damelin College. She is currently studying towards a Bachelor of Laws degree through the University of South Africa (UNISA). After pursuing an international career as an equestrian sportsman, Grant joined Viking Fishing in 1989, accepting an offer from his father, Nico Bacon, to learn the sales and marketing side of the business. Grant learnt the ropes in the best way possible – from the bottom up. He started work as a junior member of the Sales and Marketing team and he worked closely with his father, learning everything he could. 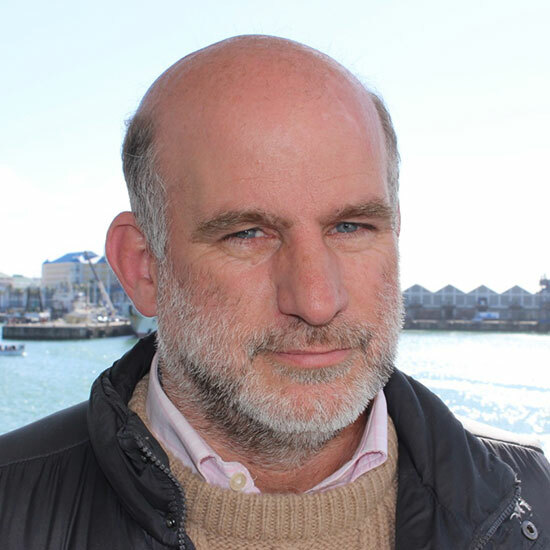 In 1992 Grant undertook his first sales trip to Europe and ever since he has attended the annual Conxemar Expo in Vigo, Spain and the Brussels Seafood Expo in Belgium. He also participates in the annual Groundfish Forum, a non-profit organisation that meets annually to exchange information and study trends in the supply and demand of groundfish species, including hake, cod, haddock and pollock, among others. Grant holds certificates in Information Technology and Business Management from Damelin College. Trevor joined the fishing industry in 1986, initially working for I&J in the field of logistics management. In 2003, he took a leap of faith and left I&J to assist a colleague and friend to establish and grow two small fishing companies: Quayside Fishing and Sistro Fishing. Before long, these two companies were working constructively with the Viking Fishing Group and eventually they were absorbed into it. Trevor holds certificates in occupational development and management from the University of South Africa (UNISA); the International Executive Development Programme, Gordons Institute of Business Science; the University of Pretoria; and the Rollins Business School, Florida. 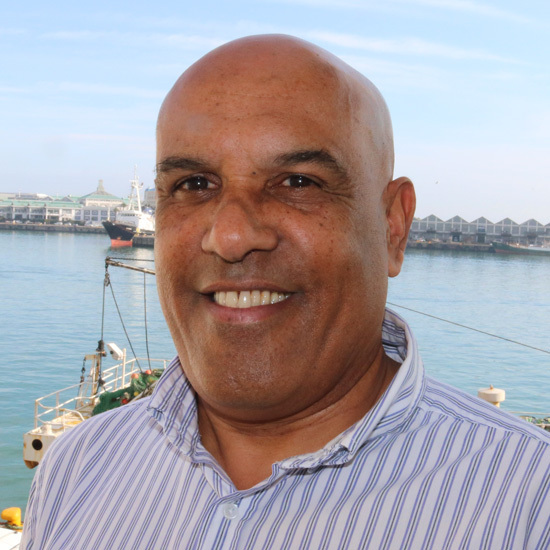 He currently serves as chair of the South African Long Line Tuna Association; skills cluster champion of the SAMSA National Fishing Forum; and member of the Transport Education and Training Authority’s Management Committee for the Maritime Chamber. Craig joined the family business, Viking Fishing, in 1990 as an assistant shore skipper. Soon afterwards, he developed an interest in the company’s fresh fish operation and put considerable energy into establishing and developing this aspect of Viking’s business in South Africa and Namibia. In 1997, Craig transferred to Mossel Bay to open a factory for Viking Fishing and he has remained in the coastal town, building and developing what is now the Southern Cape branch of the Viking Fishing Division. Craig has served as the chair of the inshore trawl fishery association, SECIFA, for a number of years.